This one takes a little more time but is still a quick card. I used an embossing folder that had 2 designs on it, stamp and embossed my wreath, colored the wreath and attached the die cut bow. Embellish with some small pearls. 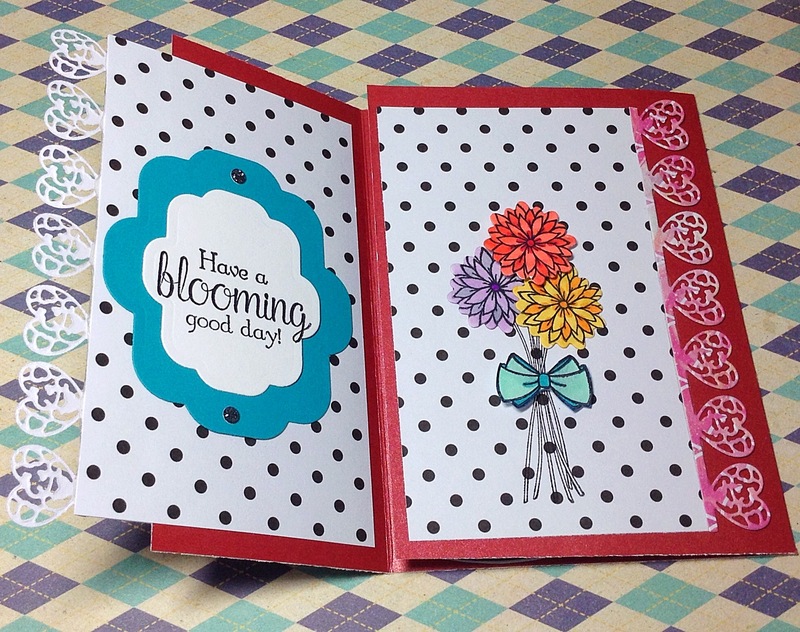 Quick and easy mixing and matching tags and die cuts. Another quick and easy layering of die cuts. Just wanted to give my niece a little shout out for the beautiful card she sent me this week. What a great little card maker she is. She gets her talent from her mother who is an amazing artist. I can’t wait to see how her talents evolve as she gets older. The theme of the week is quick and easy. 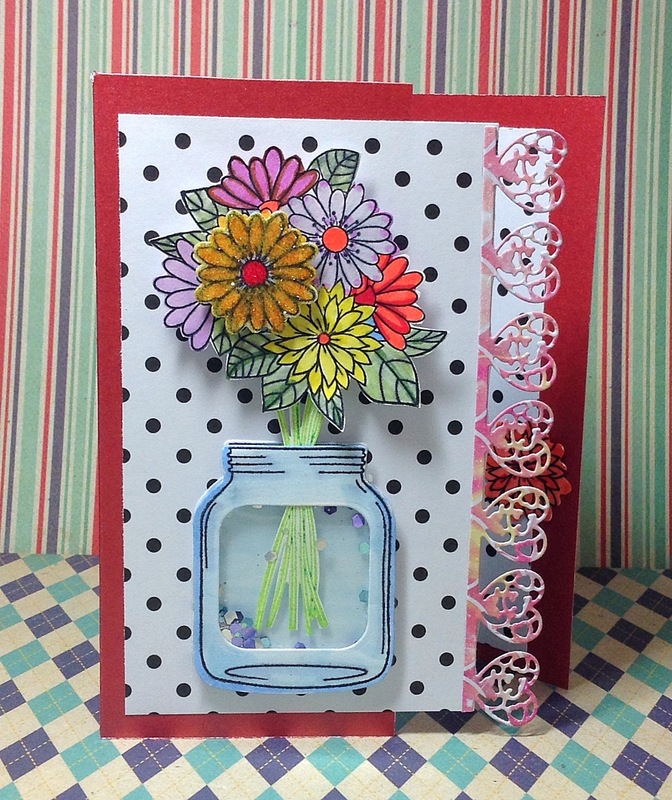 Throw together some left over die cuts and create a fun card for someone special. 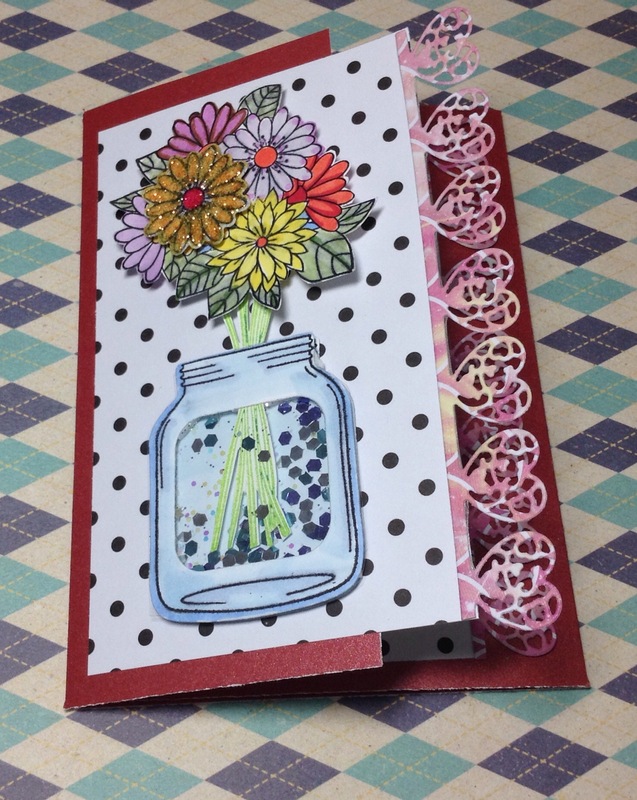 I used the small square die to cut out the center of the front mason jar. Attach the clear plastic to the back of that piece. Attach foam tape to the outside edge of the back mason jar and sprinkle glitter inside. Attach your stem piece to the base piece then attach the front mason jar to complete your shaker. Finish adding your decorations in your own style.